There are storms stacked up in the Pacific and should visit various portions of Colorado Thursday through Monday. The graphic below shows depth of the snow on the ground which is measured by high-elevation backcountry automated weather stations called SNOTEL. The first graphic shows the state is about 120% of average. See the dark blue line compared to the thick red line (median). 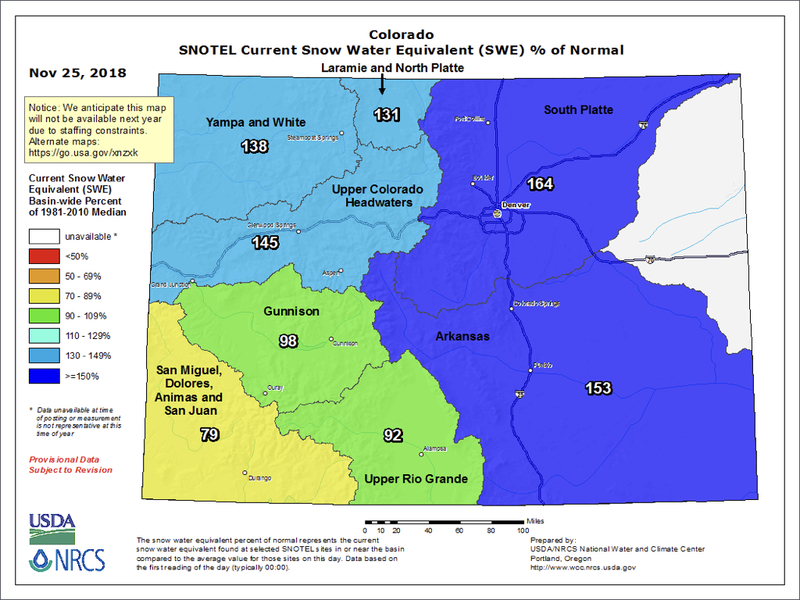 Below, breaking the snowpack down into river basins, almost all areas are near or above average except the southwest corner which is sitting at 79%. 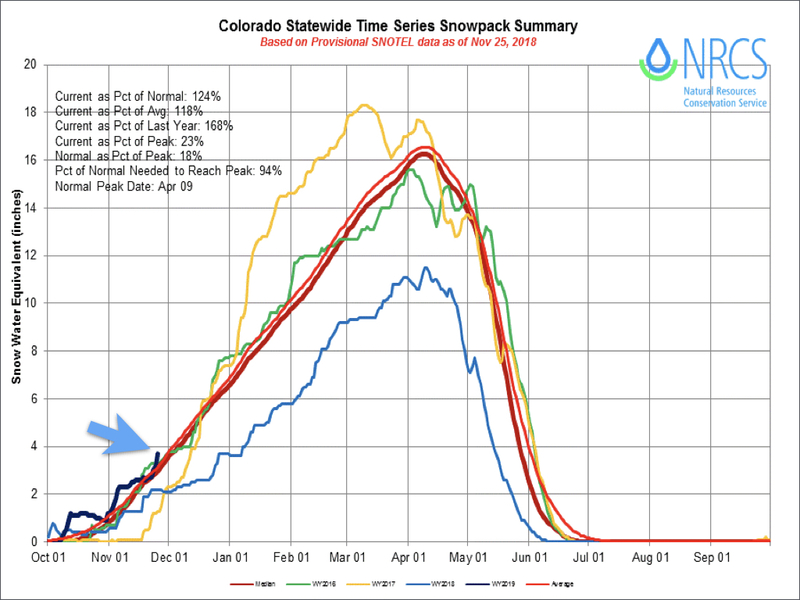 When viewing the percent of snowpack compared to average, keep in mind the ‘average’ is a low number because it’s the beginning of the season. A storm or two can easily push to average or above or it can go the other way.